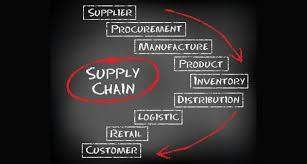 Supply Chain Strategies are the critical backbone to Business Organizations today. Effective Market coverage, Availability of Products at locations which hold the key to revenue recognition depends upon the effectiveness of Supply Chain Strategy rolled out. Very simply stated, when a product is introduced in the market and advertised, the entire market in the country and all the sales counters need to have the product where the customer is able to buy and take delivery. Any glitch in product not being available at the right time can result in drop in customer interest and demand which can be disastrous. Transportation network design and management assume importance to support sales and marketing strategy. Inventory control and inventory visibility are two very critical elements in any operations for these are the cost drivers and directly impact the bottom lines in the balance sheet. Inventory means value and is an asset of the company. Every business has a standard for inventory turnaround that is optimum for the business. Inventory turnaround refers to the number of times the inventory is sold and replaced in a period of twelve months. The health of the inventory turn relates to the health of business.